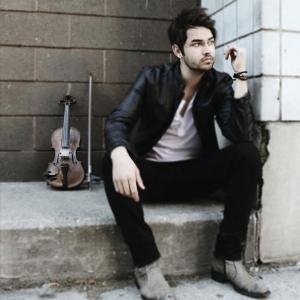 YouTube sensation Rhett Price proves that violins aren’t just for classical music when the University of Maine at Presque Isle hosts him for a pop violin concert on Thursday, Feb. 2 at 7 p.m. in the Auditorium at Wieden Hall. This night of music is free and open to the community. 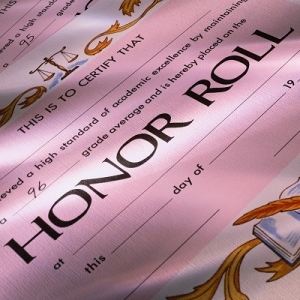 Three hundred and sixteen students at the University of Maine at Presque Isle have been named to the Dean’s List for the spring semester, according to Dr. Ray Rice, Provost and Vice President for Academic and Student Affairs. 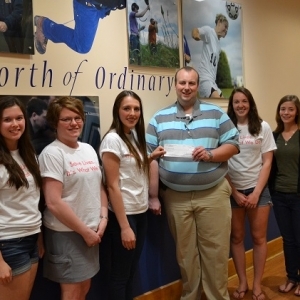 Members of the University of Maine at Presque Isle Red Cross Club presented a check for $1155 to the American Red Cross of Northern & Eastern Maine on June 2. The club raised the funds during a very successful Red & White Event Supper and Auction held earlier this spring at UMPI in celebration of National Red Cross Month in March. 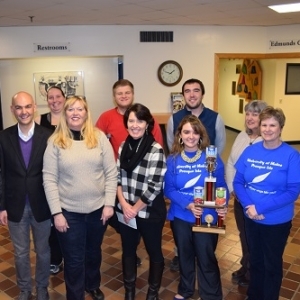 Students, faculty and staff at UMPI and Northern Maine Community College participated in a “food fight” for a cause this fall, and it resulted in thousands of pounds of food collected for Catholic Charities Maine. The institutions challenged each other to their 2nd Annual Food Fight—a food drive held between Oct. 16 and Nov. 6—in hopes of beating the total amount raised last year for the nonprofit.